Most other European countries actually face higher energy prices than those of the UK (mostly due to taxes). But better-quality home insulation means our European neighbours pay less to heat their homes. One in five UK households are now in fuel poverty. 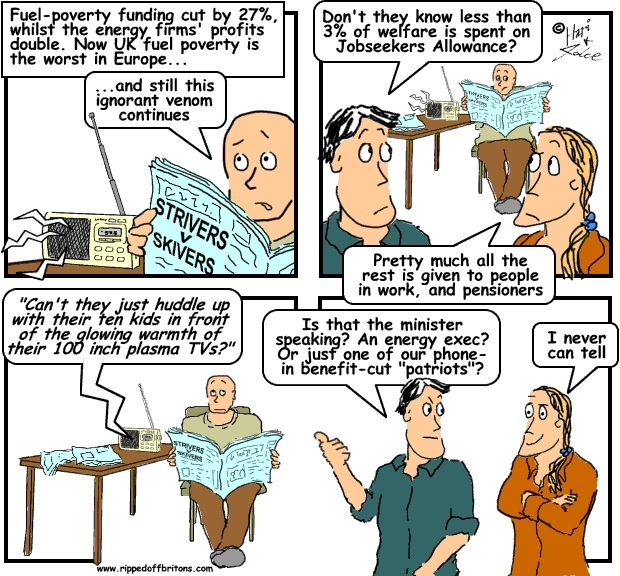 The Government has cut fuel-poverty funding for families by 27% since coming to power.